Hello cherished readers. 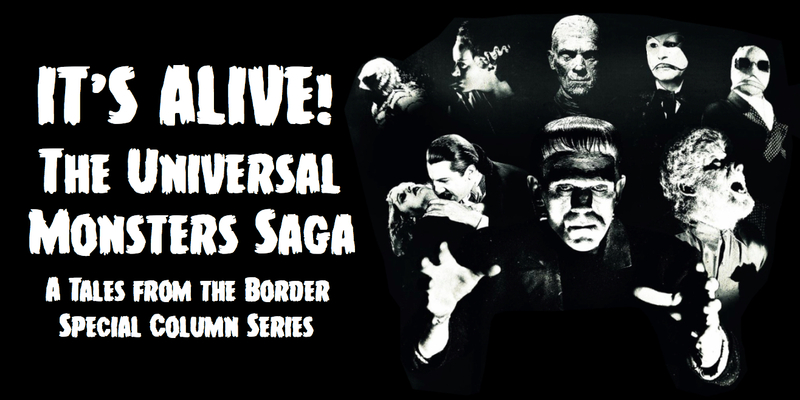 Today I’m kicking off a new special column series focusing on the classic Universal Studios Monsters, a series of classic horror films released from the early 1920s right through until the late 1950s. These films have long been favourites of mine and I thought it only just that I should write a special ongoing column series examining each film one by one. I plan to write on more than sixty films, so the column will probably be going for a couple of years to come. Today I kick things off with talking about the series as a whole, my particular fascination with them and what they mean to me. So kick back, relax, and enjoy the ride. I can’t remember what the first of the Universal Monsters films was that I watched, but I can remember when. My family had just moved to suburban Sydney, Australia, from the United Kingdom. I was probably about seven or eight years old. We had moved at the beginning of summer, and with two months before school and no friends, my sister and I had a lot of time to fill. Making the matters worse was the scorching heat. I had lived in Italy for five years but the heat there was nothing compared to Australia. Just going outside was a monumental task. You’d burn crisp in the summer sun, and quite frankly I couldn’t stand going outside for that very reason. But with so much time to fill, my mum decided that every two days or so the three of us would make the half-hour trek into the local town to get groceries and visit, to our delight, the video rental store, a chain called Video Ezy. I always found it a monumental drag, going through that heat, but it was always worth it for the video store. My sister and I were allowed to choose one film each. The first few times I went there, I got the standard fare for kids – I can’t remember the exact titles – but around the fifth visit something different happened. The rack of old VHS movies caught my eye, with the box art turned outwards for all to see. 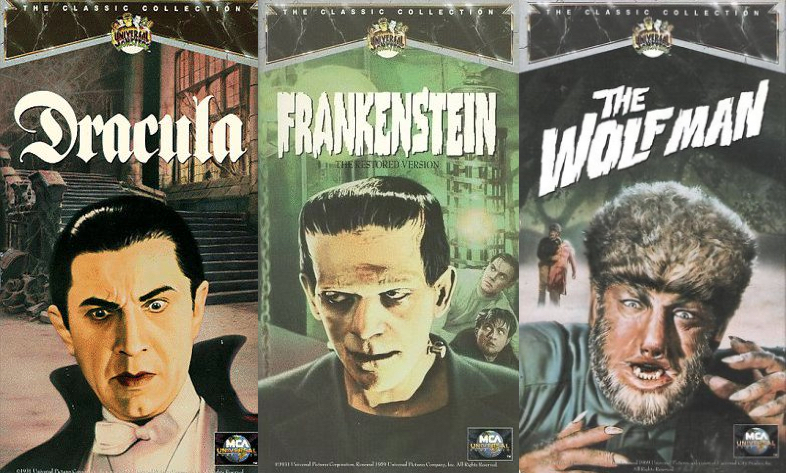 Three of the covers from the VHS releases of the Universal Monsters films that captured my imagination as a child. All lined up neatly in a row, with glourious painted covers, were the 1990s Universal Studios Monsters Classic Collection tapes, a series of releases by MCA and Universal Home Video. The painted covers of these tapes really caught my imagination. I was already something of a horror fan, which I can trace back to it’s earliest moment when I found a copy of Doug Moench and Kelley Jones’ incredible Batman: Red Rain (1991), in which they re-imagined the titular hero as a gothic vampire. I was only about five or six when I borrowed that book at the library, and reading it recently I was surprised at the shocking gore and violence – I don’t know if my parents would have let me borrow it had they known about the content, but I’m glad they did. But the artworks on these boxes – wow. I borrowed one immediately, and I can’t remember exactly what the title was. It was most likely Abbott and Costello Meet Frankenstein (1948), probably because my mum might have been a bit weary (justifiably so) about letting so young a child watch a horror film, and felt safer with the comedic presence of Abbott and Costello. Whichever film it was, it immediately captured my imagination. I was now a Universal Monsters fan and nothing would ever change that. Monsters—as this writer will personally attest—provided an element of reassurance. They were transcendent resurrection figures, beings who couldn’t die. The traditional monsters were perversely Christlike (Dracula’s most characteristic pose, with outstretched cape, is a blatant cruciform), offering an image of survival, however distorted or grotesque. The books and documentaries of David J. Skal were incredibly important to deepening my appreciation of the Universal Monsters. In many ways I think Skal struck something there – whilst it wasn’t necessarily about survival for me, these monsters somehow represented a safety that I could go back to. Perhaps it was because I grew to love these films in a short period of my life where I had no friends. Either way, throughout the years to come, whenever I was down or lonely, I had only to stick these films in the DVD player and I’d feel alright again. For that reason, I often look back on that two-month period as one of the best memories of my childhood, and perhaps my life. I truly loved these films. 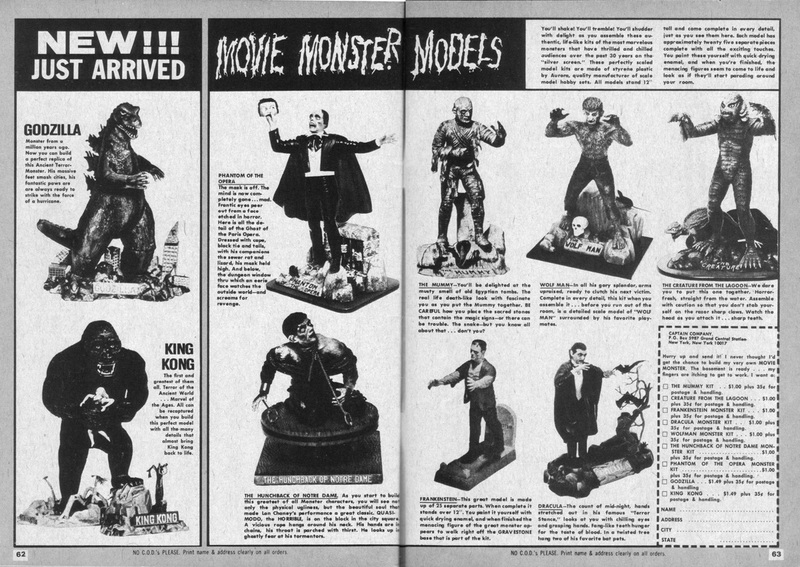 Ads for the Aurora Monster Kits ran frequently in the much-loved magazine Famous Monsters of Filmland. I think the merchandising of the monsters also had a big role to play in this. I read and was endlessly fascinated by the collectibles that had been made, particularly the Aurora Monster Kits, a series of model kits made in the 60s that you could assemble and then paint based on the classic Universal Monsters characters. I would also google endlessly the Sideshow Collectibles range of statues on the internet, something I could never afford but would always salivate just thinking about owning one! So for that brief summer, Dracula, Frankenstein, the Wolf Man, the Mummy, the Invisible Man, the Bride, and the Creature from the Black Lagoon thrilled my imagination. My parents, once realising that these films were ok for me and featured little that could terrify a modern kid, fostered my love of these films, buying me dvds and toys. I’ve always been particularly thankful for that – not every parent would help indulge their child’s morbid curiosity in classic horror films. 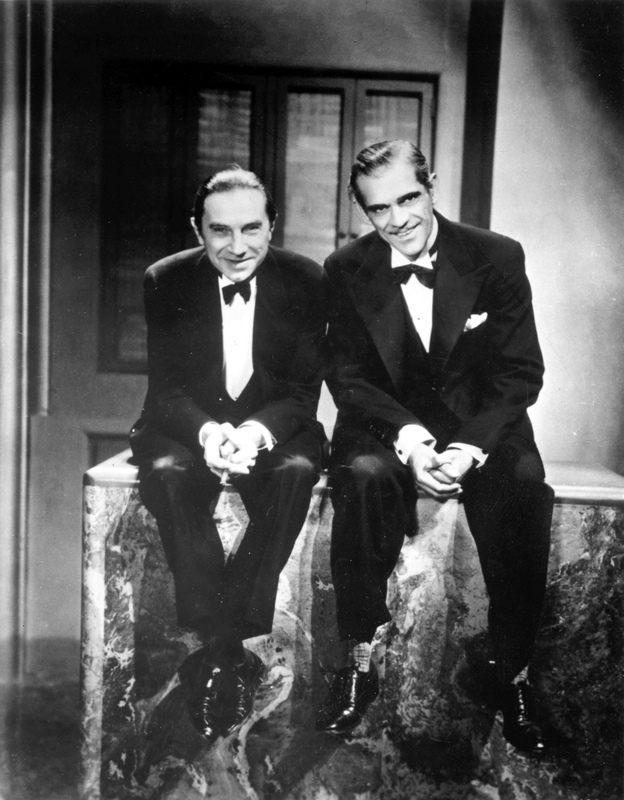 Bela Lugosi and Boris Karloff, the twin pillars of the first cycle of the Universal Monster films. As I grew older and more mature, my interest in these films and this period of filmmaking grew and matured with me. My interest extended past the films themselves and into the lives of the actors, writers, directors, make-up artists, and special effects artists. I became desperate to savour every scrap of behind-the-scenes information that I could find. In many ways I was cannibalising these movies, and today I have a near-encyclopaedic knowledge of the actors and the films. Bela Lugosi and Boris Karloff became my heroes, Jack Pierce a tormented but endlessly fascinating figure, and Tod Browning and James Whale, always stepped in shadow and responsible for all that was to come. Every time I found a book about the films or the people behind them I had to buy it and read it. Any reference to the films or the merchandising present in other books, comics, or films make me geek out incessantly. 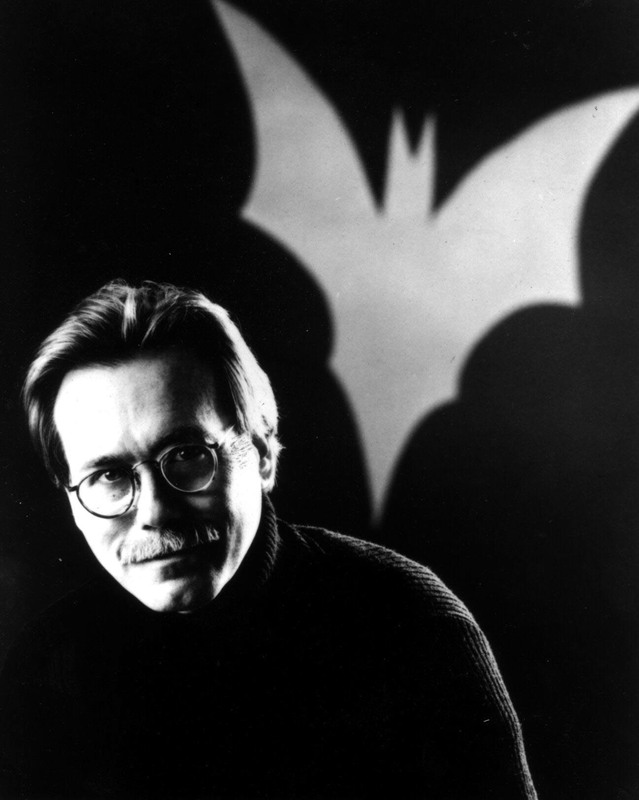 Examples include Mark Petrie’s collection of Aurora Monster Kits, present in both the 1975 novel and 1979 TV film version of Salem’s Lot by Stephen King, and the collection of old Universal Monster movie posters seen in the comic Hellboy: Double Feature of Evil (2010). Particular books, such as David J. Skal’s The Monster Show and Hollywood Gothic, as well as Skal’s documentaries on the monsters for DVD release, featuring among other academics Gary D. Rhodes, were crucial in expanding my knowledge. I’ve always wanted to write something about the Universal Monsters – since the age of about 15 I have been planning out an ongoing comic-book series that I’d love to do someday, tying the continuity of the original films together a bit more whilst also showing new adventures featuring the classic monsters and their compatriots. The series would be entirely done in black and white and use the likenesses of the original actors and actresses. I hope to make it happen someday, because I have some great stories to tell. I think Dark Horse Comics owns the copyright for comics using the licence, as they published a bunch of comics adaptations in the 1990s that were pretty good. 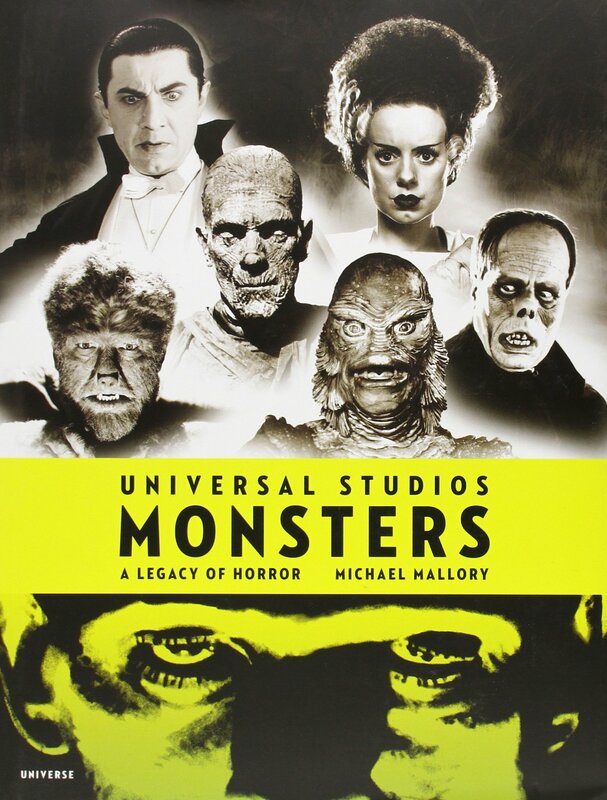 Michael Mallory’s Universal Studios Monsters: A Legacy of Horror is an invaluable tome for fans of the classic films. This, however, is my first proper attempt at writing something extensive about these films. The basic plan is to look at each film, examining the actors, actresses, creators, the behind the scenes drama, as well as providing a review of each film and general comments on how it ties together with the rest of the films. Because Universal put out a huge amount of horror films in the era, not all of them are considered to be part of the general cycle. Some of them are merely suspense / thriller films. As a rule of thumb I’ve used the films talked about in Michael Mallory’s excellent study on the cycle, Universal Studios Monsters: A Legacy of Horror, published in 2009. It’s a great book and if you want more information on the films, as well as loads of brilliant photos, you can’t go wrong with this book. The list of films extends to over 60, so that means this will be an ongoing column over the course of the next few years. I have already seen all of the main, classic monster films, but that comes to just under 30 of the films I’m going to talk about, so I’m looking forward to using this column as an excuse to watch all of the other films in the series. If you look under Special Columns on the upper right of the website, you’ll see that I’m archiving each post as it comes. Each film will be focused on chronologically, but for better organisation the films will be archived categorically according to character or sub-genre. Well, that’s about it. I can’t wait to start writing on these films. As you can tell, they really are something special and mean a huge lot to me. They are without a doubt my favourite horror films, and I hope soon I can impart some of the extreme fondness I have for these films with you. Thank you for reading, and I’ll see you soon with my first article in this new series! Skal, David J. The Monster Show: A Cultural History of Horror. New York: Faber and Faber, 2001. Print. Page 278. Very wonderful Andrew. I enjoyed this very much!